Instead, I get generic answers, which could apply to any of the 300-plus active grids I’m currently following. Such as community, support, low land prices and unique content. But looking closer, it turns out that the grid isn’t offering unique features, just different features. The warm, supportive community isn’t unique, it’s just a different warm, supportive community than on other grids. The personal support isn’t unique, it’s just a different person providing the support. The low land prices aren’t unique, especially when compared to Second Life. The unique content usually turns out not to be so unique, either, just slightly different content from what’s available on every other grid. Is it possible to launch a new grid that has nothing unique about it? Yes, but it should have something else going for it, instead. DigiWorldz, for example, launched last year with an extremely generic name and a generic business model. It did offer low land rents, but many grids do that when they first launch, in order to attract customers — and they weren’t the lowest rates around, either. But DigiWorldz had a very strong, well-known and trusted management team, and that seems to have made the difference. The big problem that all new grids have to overcome is the social network effect. People want to go where their friends are, and their friends are most likely to be on the big, established grids. There are three major ways to do this: features, content, and community. Most grid founders are technologists at heart, since there’s a common misconception that it takes a lot of technical skill to start a grid. Surprise: it doesn’t! Anyone can launch a grid if they have a good service provider. Some will even throw in a basic website to get you started. But let’s say that you’re running your grid yourself, you have technical skills, and you want your grid to stand out based on its features. The bad news is, this is the single hardest way to market a grid. Most features that you can think of are not enough to overcome the network effect. Grids can boast about their physics engines, border crossings, vehicle support and most users won’t even notice. They can experiment with pricing and discounts and currency exchange rates and promotional give-aways and nobody will care. Worst of all, if you come out with a new feature, such as offering Vivox voice to everyone, or turning on hypergrid connectivity, and the feature turns out to be attractive to users, then often other grids will simply follow suit, and your differentiation is lost. I can think of exactly three features that grids have rolled out that were unique at the time and have remained unique, and two of them belong to the same grid. A pop-up message on Kitely asks you to wait for destination to be loaded. Regions are off-line when not being used and only brought out of storage and activated when users teleport in. Kitely has been offering cloud-based, on-demand regions since it first launched, allowing the grid to offer consistently lower prices, high concurrency, and virtually infinite scalability. The grid invested a huge amount of work up front in the infrastructure to make this possible, and continues to invest in this infrastructure. Other grids have begun using cloud-hosting as well, especially during periods of high growth or for temporary events, but the regions are standard, always-on regions. Kitely also has the only successful online marketplace for OpenSim. Other grids have tried to set them up, but ran into the chicken-and-egg problem: customers don’t come unless there’s a lot of content, and merchants don’t come unless there are a lot of customers. Again, Kitely put in a great deal of preliminary work, reaching out to merchants to build the market around their needs, and actively recruiting merchants so that it would have a reasonable selection of content right from the start. Today, the Kitely Market delivers to 131 different grids, keeping the Kitely name in front of potential customers, and bringing in revenues that the grid can use to further invest in technology. Finally, another feature that has drawn in customers for a new grid is YrGrid’s combination of gambling and Bitcoin support. Launched just over a year ago, YrGrid saw a large influx of new users over the course of the first couple of months, and then a leveling off at around 700 active users since last summer. As a result, YrGrid has been a top-ten grid by traffic eight of the last 12 months — and in the top twelve the whole past year. Other grids accept Bitcoin as payment for their virtual currencies, but none of them actually base their currency on Bitcoin. And while other grids allow gambling — or, at least, look the other way when it happens — none have made it the heart of their business model and promotional strategies the way that YrGrid has. Do you know of another grid that has successfully used a feature to attract users on a long-term basis? Please let me know in the comments! Users need stuff, but stuff is rarely enough, by itself, to bring people to a grid and to keep them coming back. But content is about more than just shops and pretty builds. It’s also about events. And events bring people in. The most successful grids have calendars full of live music, parties, tours, contests, shows, exhibits, storytelling, classes, community meetings, role playing campaigns and a lot more. The Clutterfly Shopping region, now on the Metropolis grid. I can think of only one grid that successfully launched with just “stuff.” That grid was Linda Kellie’s Clutterfly World, since moved to the Metropolis Grid. In the two months that Clutterfly was up, it reached nearly 500 active users. Not only did this grid offer the full section of Linda Kellie content, all licensed CC0, or as close to public domain as you can get, but Kellie and her partner continued to add fresh content in the form of new mesh objects and kits. While most of her content is not unique — hypergrid travelers can find it on many grids — all the new content was, and the selection was more complete than you would find elsewhere. 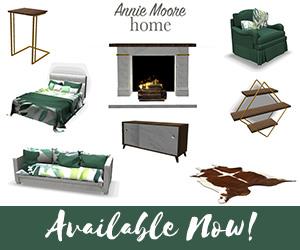 In addition, the mesh kits, also CC0 licensed, make it possible for new content designers to easily get started creating clothing, furniture, and accessories without needing 3D modeling skills. The content least likely to attract new users on an ongoing basis? Pretty builds. They are fun to create, and fun to photograph, but then what? You visit it, say, “Oh, how pretty.” Then you bring a friend to visit, so they can appreciate it. And that’s about it. To keep people coming back, the build has to either be host to fun events, or it has to keep changing, and topping itself. Building a successful content-based grid requires that the owner and founder themselves be a successful content creator or event organizer, or the budget to hire them, and the patience and commitment to keep producing new content or events and keep promoting them. The single most effective way to start a new grid is to find a community of people who need one, and build the grid around their needs. Nara’s Nook is the prime example of this approach. Created to serve a community of writers, this niche grid has been growing steadily and has recently passed the 200 active user mark. But it plays well above its size. The strong focus on community helped the grid take the lead in the most recent grid survey, despite running a write-in campaign. The Great Canadian Grid is another example. It was born out of the 350-member Great Canadian Cabin group in Second Life and Roddie Macchi’s personal reputation with the Canadian community. After that, it grew quickly, hitting 1,000 active users last summer and now reaching around 1,500 monthly actives thanks to Macchi’s personal style and strong word-of-mouth. 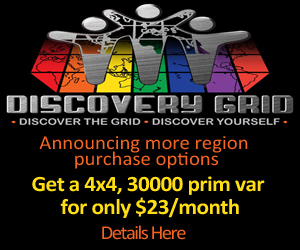 The grid’s $5 region promotion also brought in early settlers, but some grid with even lower-priced regions were not able to get any traction at all. Meanwhile, Great Canadian Grid’s land sales actually accelerated as land prices increased, and Macchi just decided to cap the grid’s size in order to preserve the community feel. AviWorlds has a core group of dedicated Brazilian users who keep coming back no matter what happens on the grid. Several other grids also focus on regional communities, such as FrancoGrid and Japan Open Grid. Littlefield is another grid known for its strong community focus. Building a community-based grid requires either a pre-existing community looking for a grid to call their own, a founder with community-building skills, or a budget for a proven community organizer. In addition, members of the community need to be able to recognize themselves as members of that community, and see a need for a world dedicated to their needs. 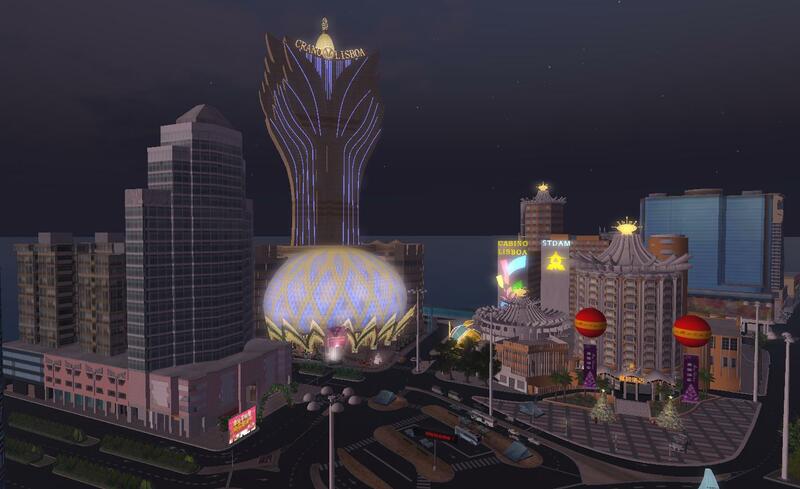 In addition to looking at existing Second Life communities, other possibilities may include other online communities, such as fans of particular performers or games or blogs, or groups on Facebook, Google Plus, Reddit, or other social networks. The grid founder then needs to have credibility with that community, or take the time to build it, and a strong appreciation of the community’s needs.